The lives of two close-knit couples are irrevocably changed by an untimely death in the latest from Tessa Hadley, the acclaimed novelist and short story master who “recruits admirers with each book” (Hilary Mantel). Alexandr and Christine and Zachary and Lydia have been friends since they first met in their twenties. Thirty years later, Alex and Christine are spending a leisurely summer’s evening at home when they receive a call from a distraught Lydia: she is at the hospital. Zach is dead. In the wake of this profound loss, the three friends find themselves unmoored; all agree that Zach, with his generous, grounded spirit, was the irreplaceable one they couldn’t afford to lose. Inconsolable, Lydia moves in with Alex and Christine. But instead of loss bringing them closer, the three of them find over the following months that it warps their relationships, as old entanglements and grievances rise from the past, and love and sorrow give way to anger and bitterness. Late in the Day explores the complex webs at the center of our most intimate relationships, to expose how, beneath the seemingly dependable arrangements we make for our lives, lie infinite alternate configurations. 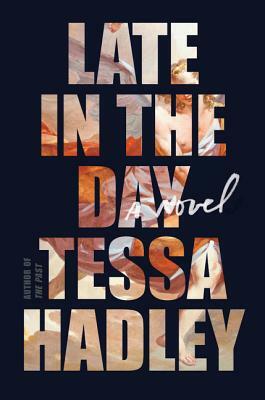 Ingeniously moving between past and present and through the intricacies of her characters’ thoughts and interactions, Tessa Hadley once again “crystallizes the atmosphere of ordinary life in prose somehow miraculous and natural” (Washington Post). Tessa Hadley is the author of six highly acclaimed novels, including Clever Girl and The Past, as well as three short-story collections, most recently Bad Dreams and Other Stories, which won the Edge Hill Short Story Prize. Her stories appear regularly in The New Yorker; in 2016 she was awarded the Windham Campbell Prize and the Hawthornden Prize. She lives in London.